year are invited to participate. Cost: There will be a nominal fee of RM50 for participants. Refreshments and participation certificate will be provided. GOLD COAST: Leong Mun Yee-Nur Dhabitah Sabri had a golden opportunity to nail a gold medal in the women’s 3m springboard synchro event at the Commonwealth Games. However they couldn’t make the best of their chance and eventually settled for bronze with a score of 264.90 at the Optus Aquatic Centre on Wednesday. 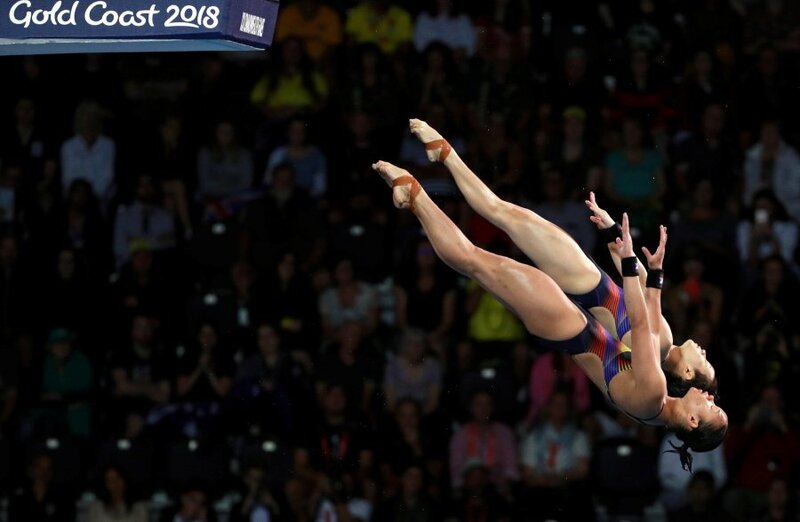 Australian pair Esther Qin-Gerogia Sheehan delivered the hosts’ first gold medal in diving with a score of 284.10 while England’s Alicia Blagg-Katherine Torrance took silver with 276.90. “I never expected a medal in this event. It wasn’t a target for us because Canada and Australia are stron,” said 18-year-old Dhabitah. In the men’s 1m springboard preliminaries, the trio of Ooi Tze Liang, Ahmad Amsyar Azman and Mohd Syafiq Puteh all qualified for the top-12 final. GOLD COAST: Pandelela Rinong-Cheong Jun Hoong lived up to their big reputations as they clinched gold in the women’s 10m platform synchro event at the Commonwealth Games. The Olympic silver medallists and world championships bronze medallists led from start to finish as they scored 328.08 at the Optus Aquatic Centre on Wednesday. 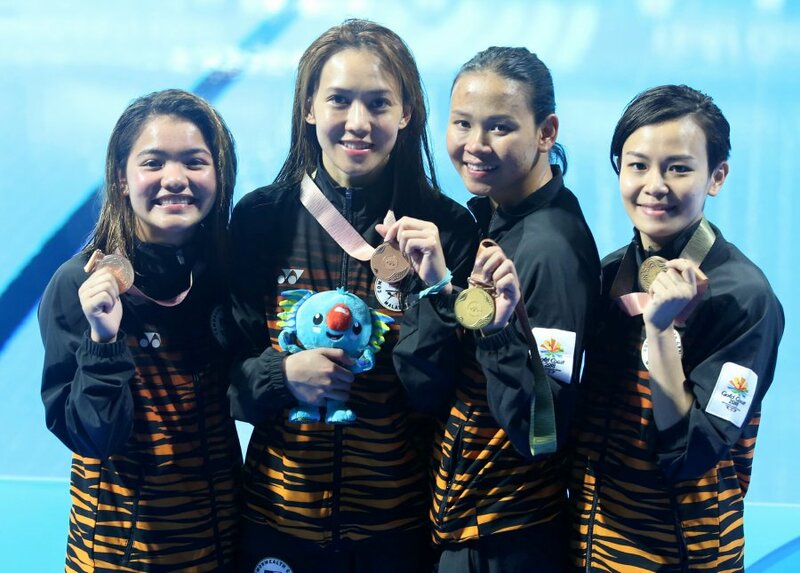 It is Malaysia’s first ever gold medal from synchro at the Games. The pair’s win was made even sweeter after teammates Leong Mun Yee-Nur Dhabitah Sabri delivered a huge final dive to pip Australia’s Teju Williamson-Melissa Wu to the bronze. Mun Yee-Dhabitah who trailed in fourth after the first four dives, finished with 308.16, ahead of Williamson-Wu who had 307.80. Canada’s Meaghan Benfeito-Caeli McCay took the silver with 312.12. With diving’s excellent one gold and two bronzes, Malaysia’s medal tally is now 3-3-5. VETERAN diver Leong Mun Yee is happy that the spotlight is not on her. But that has not stopped the 33-year-old from quietly hoping for a medal of her own in the 10m synchro event when the diving competition starts at the Optus Aquatic Centre today. Mun Yee will team up with Nur Dhabitah Sabri but all eyes will be on Olympic silver medallists and World Championships bronze medallist Pandelela Rinong and Cheong Jun Hoong to deliver the goods. Mun Yee, who is in her fourth Games appearance, believes she and her 18-year-old partner cannot be overlooked. “Pandelela-Jun Hoong are the focus in the 10m synchro while Dhabitah and I are just the other pair,” mused Mun Yee. “Its going to be a tough as all the divers are ranked in the top three. “My partnership with Dhabitah is quite new and this is our first year diving together. Mun Yee-Dhabitah will also compete in the 3m springboard synchro today. “It’ll be a challenge because the weather here is cold, windy and hot at the same time,” said Mun Yee, who has only trained in 3m synchro for three months. “I’m excited to get started but I’ll keep my focus,” she added. The other Malaysians in action today are Ooi Tze Liang, Ahmad Amsyar Azman and Mohd Syafiq Puteh in the men’s 1m springboard individual. SWIMMER Welson Sim (pic) wrapped up his campaign at the Commonwealth Games with a creditable showing. The 21-year-old clocked a time of 15:31.14, just off his personal best of 15:28.34, to finish fifth in the men’s 1,500m freestyle final at the Optus Aquatic Centre yesterday. Australia’s Jack McLoughlin led the way from start to finish with a time of 14:47.09 while Wales Daniel Jervis finished second (14:48.67) and Olympic champion Mack Horton came in third (14:51.05). “I’m just short off my personal best but that’s fine because I wasn’t really tapered for this event,” said Welson. “Overall, it’s been a decent campaign and I know where I need to improve next, added Welson, who made the men’s 400m freestyle final last week. That was a major achievement as Malaysia never had a swimmer in the final since Alex Lim Keng Liat’s feat in 2006 Melbourne Games. Meanwhile, para swimmer Carmen Lim can walk tall after putting up a memorable Games debut when the 17-year-old clocked 35.95 in the heats to set a new Asean record in the women’s S8 50m freestyle. The sweet one-armed girl however only managed 36.85 in the final for a fifth place. “It felt good to break the record and I hoped to go faster in the final but I ran out of breath in the last 25m,” said Carmen. “Still its a good showing in my first Commonwealth Games and I’m quite honoured to swim against the top five swimmers of my category,” said the Wales-based swimmer, who is looking to qualify for the Para Asian Games in Jakarta.